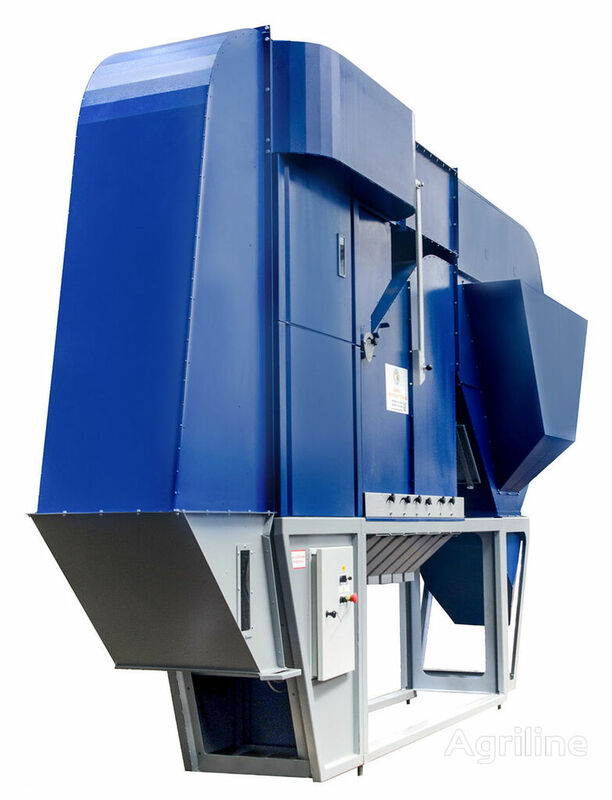 The company "KharkovAgroMash" produces aerodynamic grain separators "ASM", productivity from 5 to 100 t / h., intended for cleaning and calibration: wheat, barley, flax, soy, coffee, sunflower seeds, corn and other crops. For machines with a capacity of 20 tons / hour, we offer "AFM with an aspiration chamber *". • Versatility - works with any loose materials: grain, croup, cut, etc. • Does not require complicated maintenance and maintenance (it is enough to switch on in reverse mode or blow out with compressed air). • With aerodynamic separation, the seed is not injured, the commodity grain has a high degree of purification from grain, mineral and other impurities. • The air duct is made with sharp differences in its cross section, several turns by 180%, which allows to precipitate a significant amount of dust. WE INVITE YOUR DISTRIBUTORS TO COOPERATION FOR THE PROMOTION OF OUR PRODUCTS IN THE YOUR COUNTRY!